The tactic lines up in a 4-1-2-2-1 formation sometimes known as 4-5-1 or 4-3-3. The two full backs are very attacking and contribute a lot in attack, while the anchor man in midfield gets through a large share of defensive work to help the defence. The wingers have a duty of attack and create havoc for the opposition. Using a lot of team instructions can sometimes cause confusion so I have a limited number set here. Basically the team is instructed to retain possession when possible, if forced to make clearances make them into the wider areas and generally try to attack by getting the ball out wide. This works well with the wingers and complete wing backs as they are both in wide positions to combine and create trouble. The team will also close down the opposition and play at a high tempo. Use tighter marking is also selected as I feel it gives the opposition less space is key areas. What these individual instructions do are self explanatory but are critical for the tactic to work successfully. A fantastic premier league and FA cup double. I have to say we were unlucky in the league cup going out in the semi final on away goals after extra time to man united. In the premier league we recorded an incredible 30 wins with only two games lost all season. In both games that we lost, we had the majority of possession and created more clear cut and half chances than the opposition and were unlucky to lose. I used team cohesion and for pre-season training and balanced training throughout the season. For match preparation I recommend attacking movement for most games except against tough opposition when I used defensive positioning. You should also consider the report from your scout. Keep the corner instructions as per the download but set your right back to take left sided corners and your left back to take right sided corners. Use your assistants advice for opposition instructions. 1. Click the download link above and download the file. 3. Now load the game as normal and enter the tactics screen. 5. Then Import and then load ‘Tinkerman’s 4-1-2-2-1 into your game, then you will be able to select the tactic from the list. Looks a very good tactic based on the results, this is by far my favourite formation but haven’t seemed to get it working so far this year so will definitely give this a try, just one question… Did you use control for every game or switch to counter at any point? Yes I used control for every game to start with, I occasionally switched to contain and waste time if we were only leading by one goal after 84/85mins and coming under a bit of pressure. What percentage did you have your match prep on? can you screenshot the training? I used this with Spurs, I won the league and league cup. 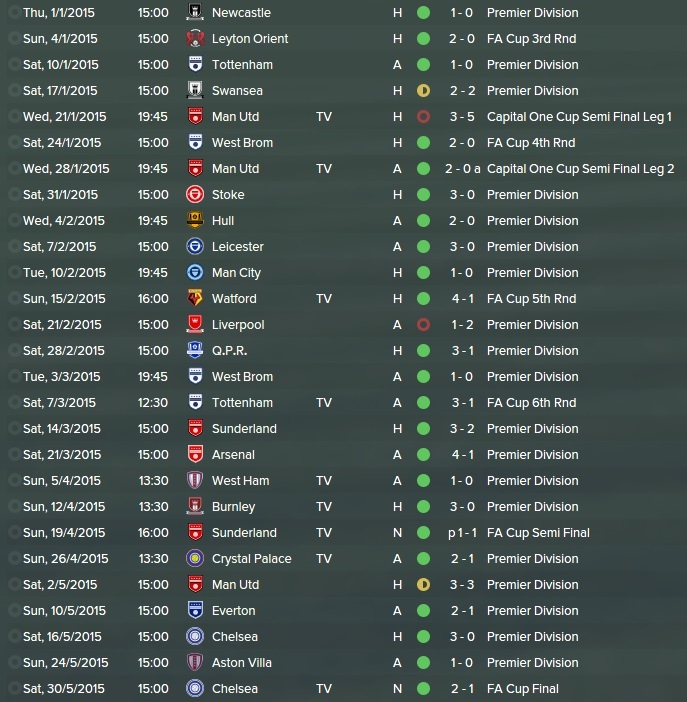 Lost the final of both the FA cup and the Europa League. 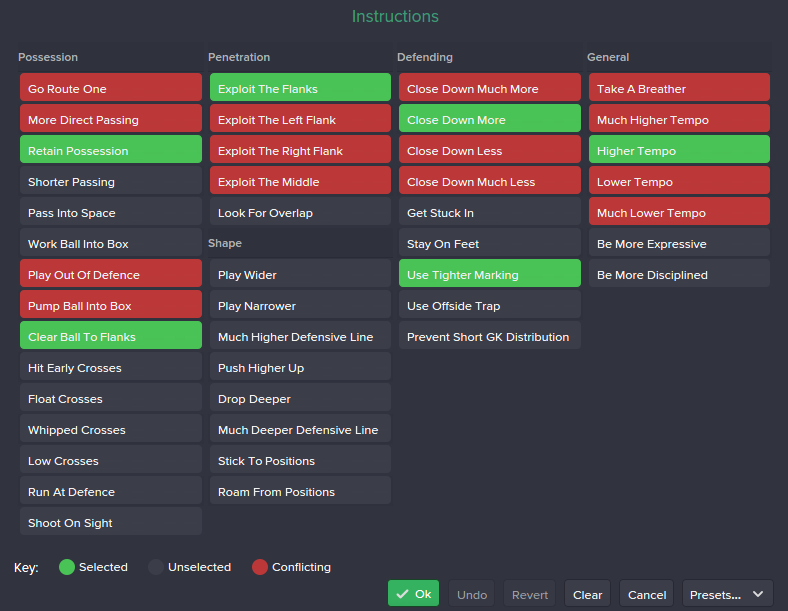 I changed the tactic slightly as I played Lamela as an IF on the right. I bought Depay and Gaston Gil Romero in the January transfer window. Should I change my player instructions to better suit my team, or should I leave it as it is? For example in my team Deportivo I have a 2 decent advanced playmakers. Future looks bright… Might off load Long or Rodriguez in the Jan window! Whom would you suggest as a backup striker? think this tactic will work in version 15.3 ?? think this tactic will work in version 15.3 ? 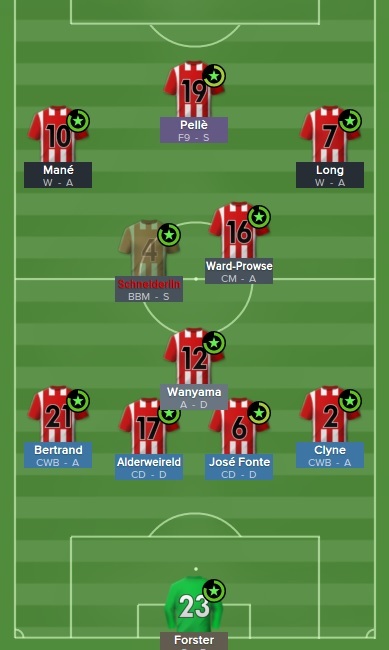 Gave this tactic 10 games and gave up. Used Man United and have 5 wins 5 draws in the prem. 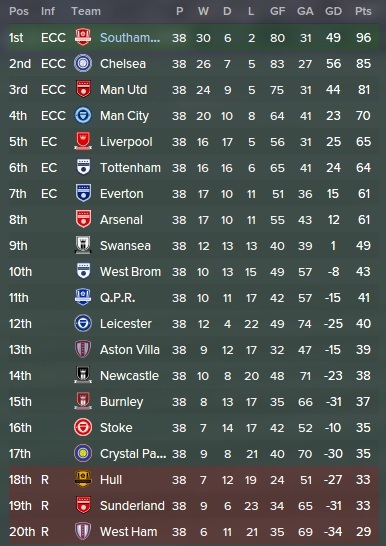 Am in the 1/4 final of the capital one Cup due to 2 awful pen wins over Swansea and Bradford. i might be undefeated but its the Quality of Football that did it for me. So bad. Played to the wings with tons of aimless crosses. The defending has been awful esp from set pieces and the wings. Nearly broke my Laptop after the 3-3 draw with Newcastle. Alot of the games ive won have been major flukes aswell with De Gea being my saviour. 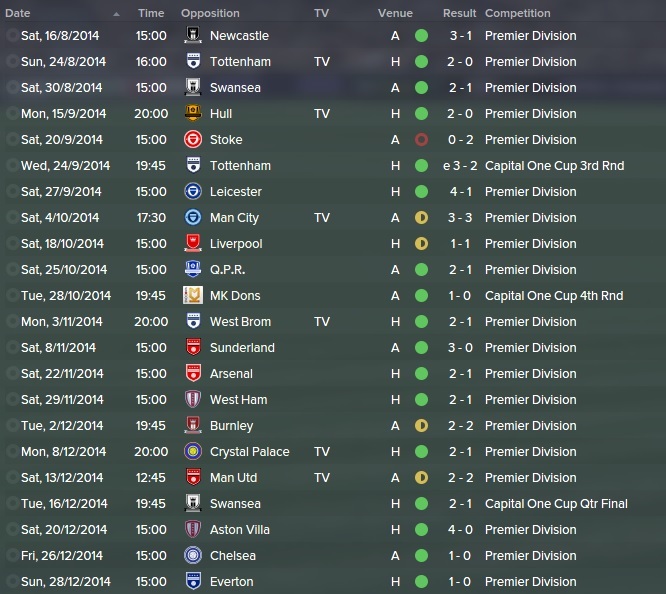 For instance 2-1 over Liverpool at Anfield and 1-0 at home to Chelsea i was dominated. Seems very inconsistent, not sure if it has been tested on the latest patch but have tried it with several PL teams and not broken the top 4. This site is not endorsed by or affiliated with Sports Interactive or SEGA. The official Football Manager site can be found at www.footballmanager.com and the official Sports Interactive Community forums can be found at www.sigames.com. Sports Interactive, the Sports Interactive logo, Football Manager, in-game generated images and any other Football Manager related items are registered trademarks and/or copyright material owned by Sports Interactive Limited, or their respective trade mark and copyright holders. SEGA and the SEGA logo are registered trademarks of SEGA Holdings Co Limited or its affiliates. All rights reserved.